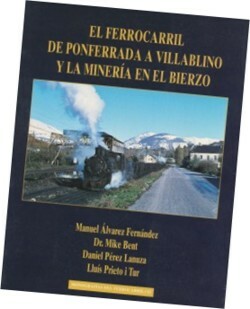 Book about the mining railroad of the MSP between Ponferrada and Villablino. A railroad with more than 80 years of service charcoal-burner, some less with service, already missing, of travelers and with a great history and rather uncertain future. The history of the company, the description of the line of the P.V. and his branches, the detailed and complete description of every member motive and towed of the trailer stock, joined the present and the future of the line form the thickness of the book. The influence that on this railroad has had that of broad route in the region of The Bierzo, they make it deserving of a chapter that it describes, apart from the line in if, the branches and industrial facilities, the disaster of the accident of tower of The Bierzo 56 years ago, the material that has circulated along these lands and other details. The multiple projects of the railroads that would complement the P.V. and that they have not managed to construct also are explained in another chapter, as the situation and description of the railroad networks of industrial width lengthways and width of the whole region. These and other a lot of information does that the P.V., a railroad wanted by the fans of the whole Europe for being of the last ones to have steam in state of functioning, already does not have secrets and one shows to the fans with the whole brilliance that it has had and that unfortunately it could not have preserved. Authors: Manuel Álvarez Fernández, Dr. Mike Bent, Daniel Pérez Lanuza, Lluís Prieto i Tur. Size: 21 X 27 X 2 cm.